He's my fave movie Jason too! Was it even people from this site making the threats? Could you also please explain why uber jason is affected by this lawsuit when all you have to do is release him before July when the lawsuit states? 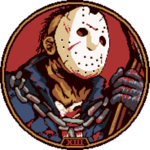 If uber jason is done and in the game, why not just unlock it before July. The posted court documents say this desist starts July, plenty of time to release before then. Wait, so no uber jason? And whats the lawsuit for? I need to get back on Twitter again. Ugh, nevermind. Gamers can be some of the most ruthless, antagonistic people. Glad I don't develop games. Why don't you just take the dev team out to the back to face the firing squad instead, spare them the crap on these forums. And I'll bet 95% (being generous here) of the posters of this thread don't even realize how much work goes into development, bug fixing, enhancements, rework, testing, etc. I do it on a daily basis. It's unfun, tedious, frustrating, and gut wrenching. And imagine doing this work for ungrateful customers who are slamming their fork and knives on the table, making a loud enough rant/crying to be heard from the kitchen just adding tons of more stress to their already stressful environment. If you guys think you can do better, try it. I triple dare ya. The game needs more fun things to work with. Like each Jason having a unique perk that the others don't. An example of that would be like Jason 7 being able to jump through a window once per match like in the movie. Or Jason 9 being able to possess a dead player for a short amount of time once per match. They also need "Hero" type counselors like Tommy Jarvis who have special perks as well. 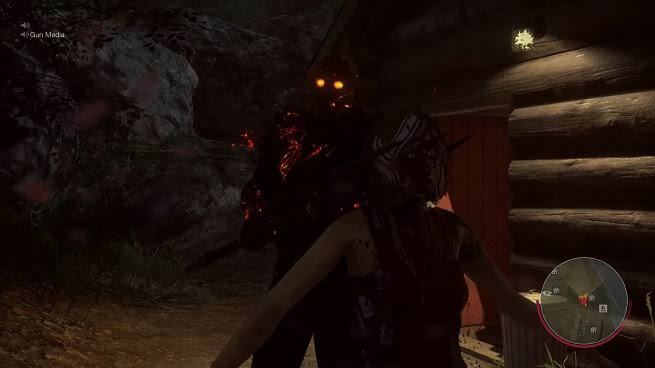 Like the psychic girl in 7, she can use her Telekenis against Jason, but she cannot run. Or The girl from part 8, she can "talk" to Jason to stun him at times. They also need different ways to kill Jason. Like hanging him or sucking him to hell or drowning him in a lake somehow. I would also love to see reboot Jason, FvJ Jason, and pre-uber Jason X. And maybe new Jason models, like Electrocuted Jason or Butcher Jason, or even Jason set ablaze. Necronomicon Jason. How about Pamela Vorhees as a killer? Or young Jason. Instead of camp grounds, what about alleystreets from a city, or hospitals with nurses, patients and Doctors. The possibilities are endless.To keep the game alive, they need strategic variety, and various skill levels, and goals to achieve.